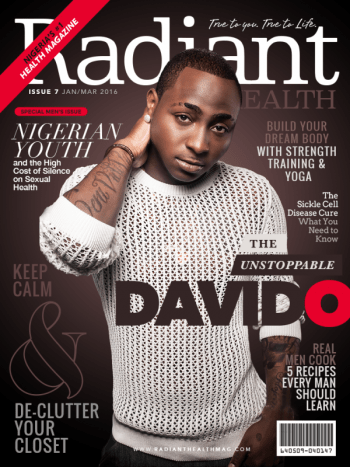 Award-winning Nigerian music star Davido dishes on his health and fitness regime, his journey to success and more in the latest issue of Radiant Health Magazine. Besides delving into the personal life of the musician, the Valentine edition dubbed ‘Unstoppable’ also discusses topics on Sickle Cell and Sexual Health. Previous Lip Sync Battle Africa! Would You Be Watching?